Want to incorporate uniqueness and express your creativity when designing slides and presentations? 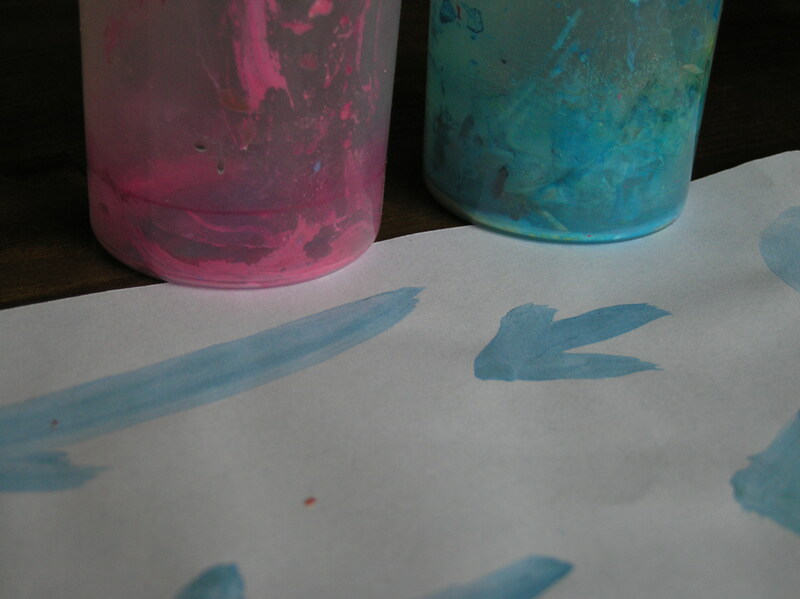 Add watercolor elements to better express yourself and to keep your audience engaged. 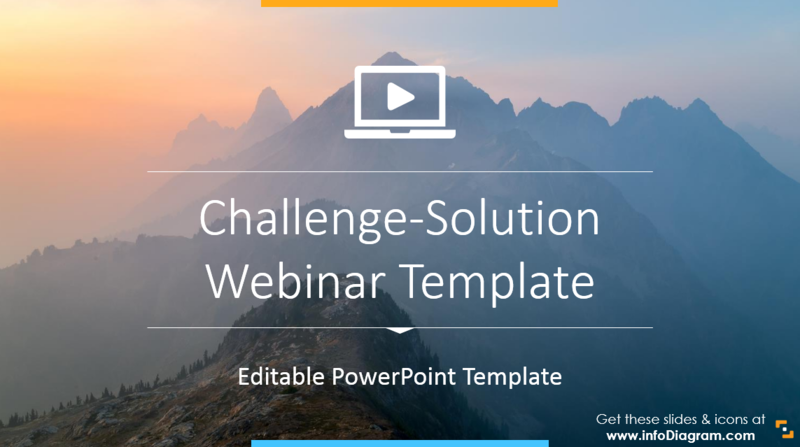 The whole purpose of incorporating visual elements into presentations is to make them more exciting and compelling for the folks you are presenting for. Make your presentation more interesting, and they’ll be more likely to tune in! Call to action is an important motivation element of the properly managed meeting. It should finish with clear “what’s next” step for all participants. Otherwise, the energy you put into your presentation can be wasted. Explaining how the company operates can get pretty complex. 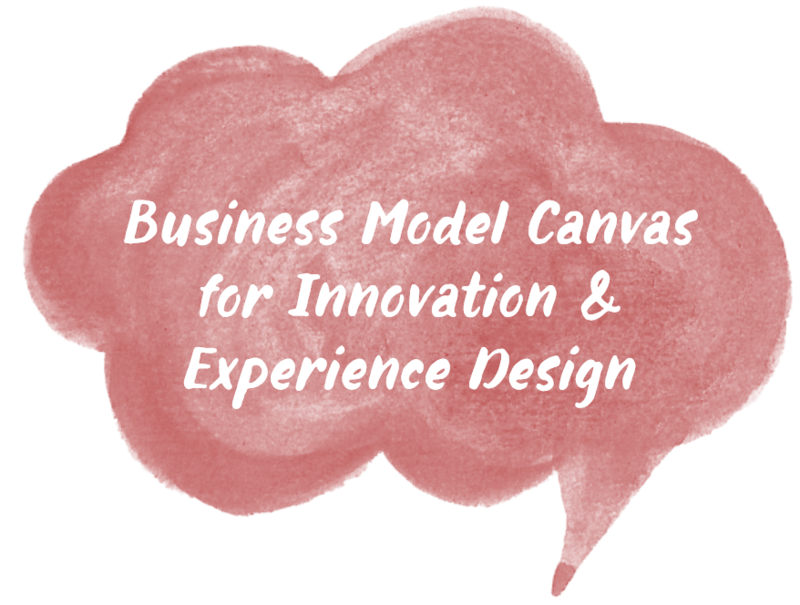 One of the frequently used business model frameworks is Business Model Canvas (see book Business Model Generation by Alex Osterwalder). This business model beautifully grasps the key elements of how a company operates. 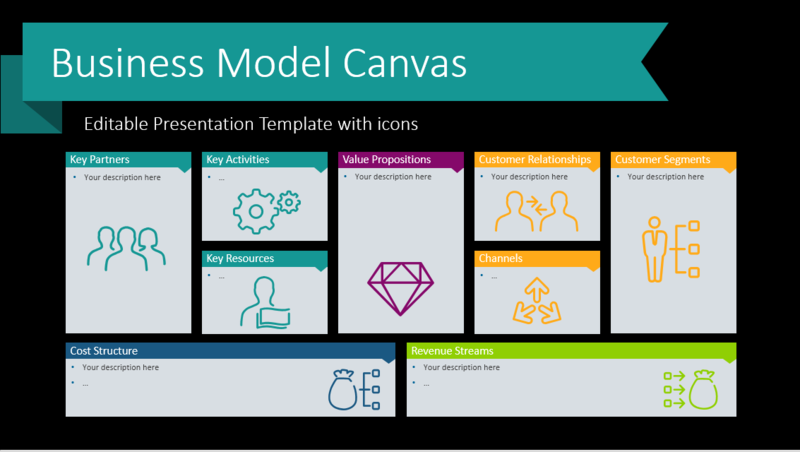 Adding catchy visuals and schemes to this framework will help you get people’s interest and support understanding of the specific business model. Here we share ideas of how you can present full picture and details of BMC on a slide in a clear and simple way.